May in Iceland is a really special time to visit. Nature is coming alive very rapidly now, spring and even early summer flowers are increasingly flourishing, the trees and grass are usually turning greener by the day. 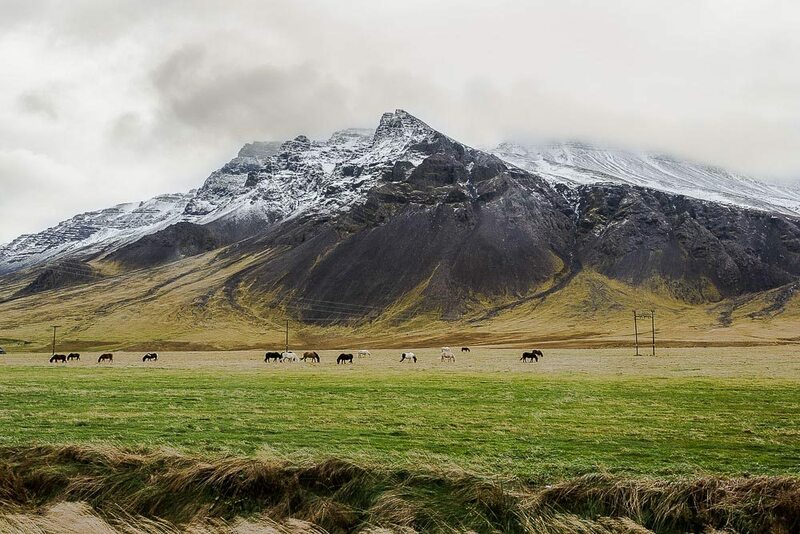 Temperatures are warmer, particularly in South Iceland, although the mercury can still drop sharply and snow can fall, this is less likely than it is in April. 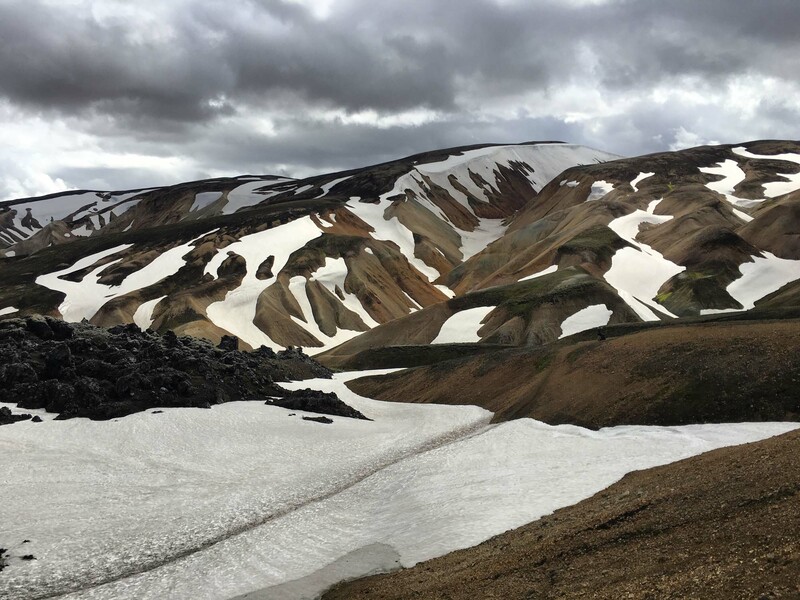 Early in the month snow still decorates the tops of the mountains around Reykjavík. When the sun shines the long bright days of May are so magnificent – everything just feels so vibrant and fully alive. No wonder many Icelanders say this is their favorite time of year! Daybreak comes early and the bright evenings are increasingly long. See the sights from early until late evening. Less crowded than in June, July or August. The early flowers make the gardens look so delightful. Trees get their leaves the landscapes are green and lush. The puffins are well and truly back. The lambing season continues into May. Picnics, outdoor drinks and dining.A great time for whale watching. Traveling conditions should be better. Many rental companies offer cheaper car hire before June. Accommodation is often at a better price than in June, July and August. In May the overall average temperature in Reykjavík is 7 °C, the average at the warmest part of the day is a surprisingly comfortable 10 °C, with the average low being 4 °C. So, usually 40 °F to 50 °F. Rainfall varies from year to year but the average number of days with rainfall is 11 days, just one more day than in June. Powerful storms are much rarer in May than they are in the wintertime. On the 1st May the sun rises at 5:00 am and sets at 21:51 pm, nearly 17 hours of daylight from the outset! At the end of the month sunrise comes at 3.25 am with sunset at 23:37, giving more than 20 daylight hours, so you can just enjoy the sights whenever the whim takes you. In North Iceland, it gets even better with between 17:15 and 21:07 hours of daylight in Akureyri. One tip – bring your sunglasses! Layers! No, seriously, following the three-layer principle is always important in Iceland, but layers are the only way to stay comfortable when temperatures change a lot. You could experience warm and sunny, warm and wet, cold and wet, or cold, crisp and dry, maybe with a strong refreshing wind. To manage these the best answer is to bring a light jacket but to make sure you have plenty of items to layer under it. You probably won´t wear them all the time but cozy hats, gloves, warm woolen socks, and scarves are as important as your bathing suit, towel, suncream and sunglasses in May. Start off with a wool or thermal base layer, then add your hiking trousers and fleece, thermal top or wool sweater and an outer rainproof shell. Dress for how it feels but bear in mind the weather can change a lot during the day and into the evening. So, in warm weather skip some of the layers but carry extra clothing with you. A couple of light tops and regular underwear are useful if you get lucky with the weather, hiking trousers which zip-off to become shorts give great flexibility too. Lopapeysa, the Icelandic wool sweaters, can be very useful in May. Warm days can chill down into cool evenings. Can I see the Northern Lights in May in Iceland? Northern Lights tours cease operating around mid-April, but the Aurora can still be seen in May. You need darkness to see the Northern Lights, in Iceland from mid-April onwards nightfall arrives very late, making it a bit awkward to operate tours. If you want to see the Northern Lights in May you will need to stay up very late to do it. You can check out the Aurora forecast here. If the forecast is favorable you need to go to a place with low artificial light pollution and very little or no cloud cover. 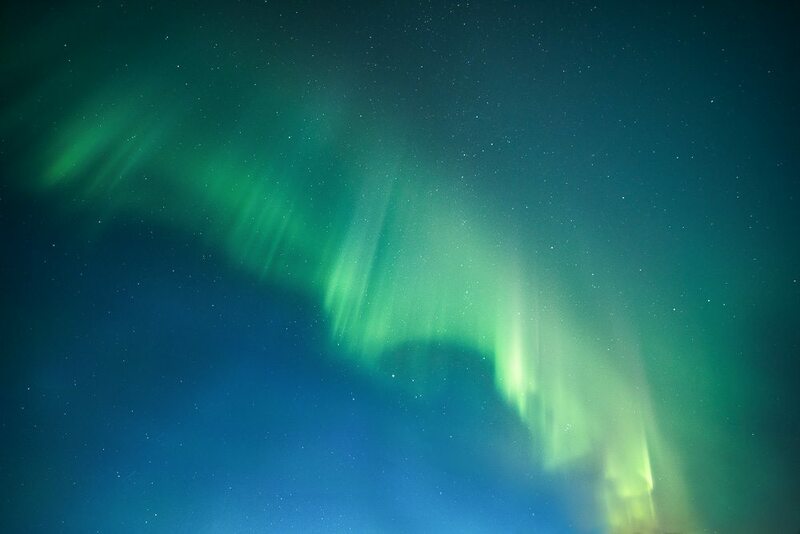 Hopefully, your late night Northern Lights vigil will be rewarded with a radiant display of dancing colors! 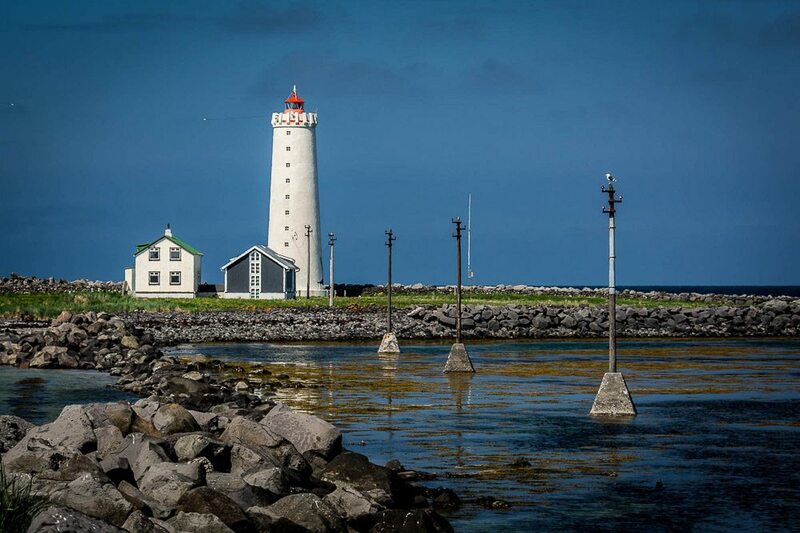 Visit Víðey, the island which is just a short ferry ride away from Reykjavík. 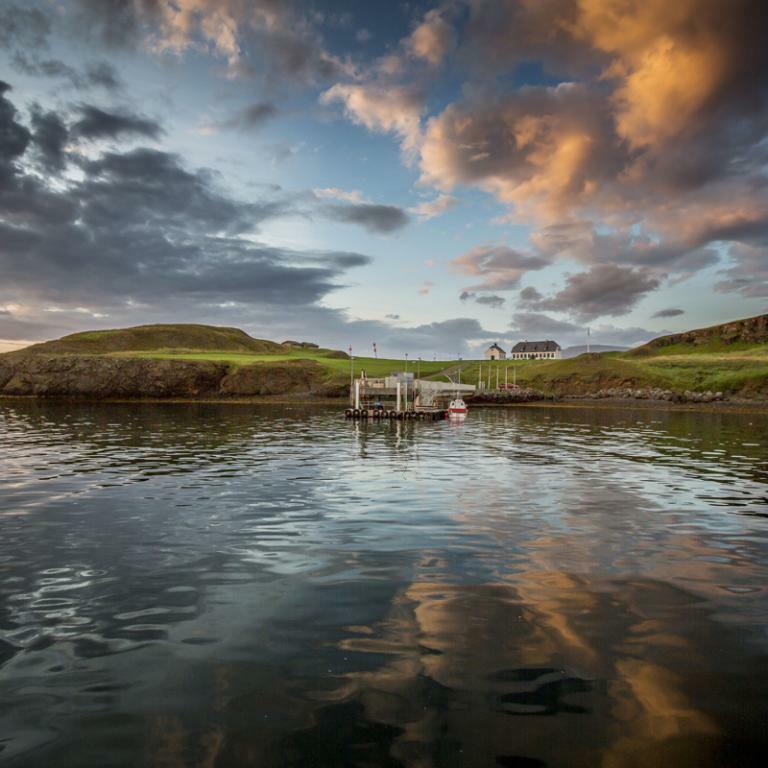 The ocean waves and squeals of the seabirds are the only sounds you will hear as you explore. See the Yoko Ono Peace Tower and leave your own peace wish. 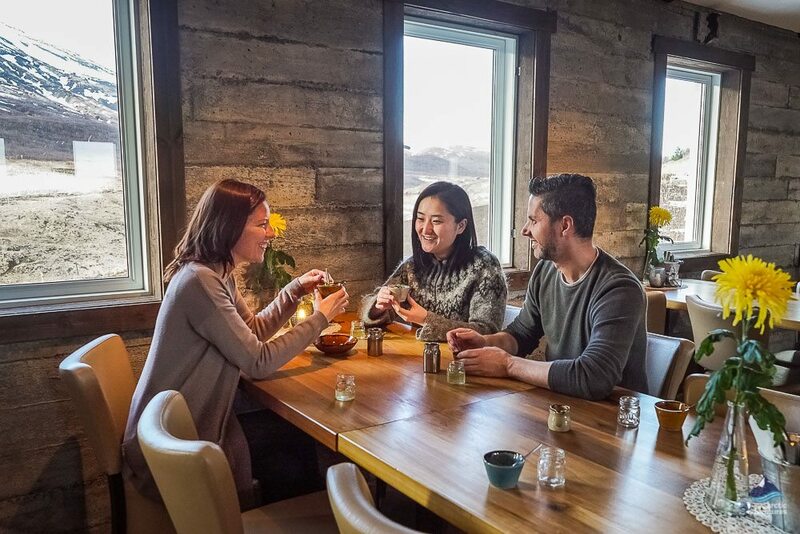 Visit Viðey House, the first stone building in Iceland, and the Old School House where you can catch up on the island´s history. Enjoy the café or take a picnic. Until 14th May the ferry from Reykjavík’s new harbor at Skarfabakki operates only at weekends, from 15th May it goes every day. Ride a WOWcitybike. This great city bike service starts running again in May. Pick up a bike from one of the eight ‘stations’ around Reykjavík, ride wherever you want to go, then return it to the ‘station’ of your choice. A map and info can be found here. 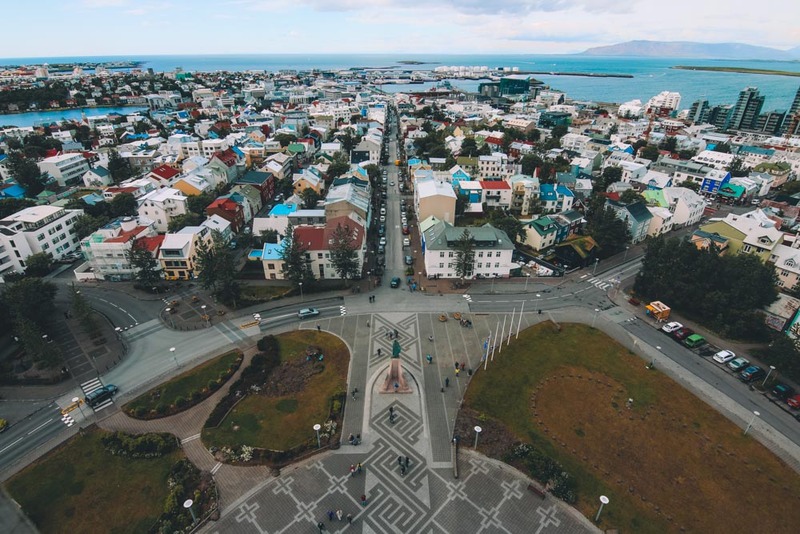 Enjoy a whale watching tour from the harbor downtown in Reykjavík. Look out for whales, dolphins and all kinds of ocean wildlife – you get great coastal views of Faxaflói Bay. 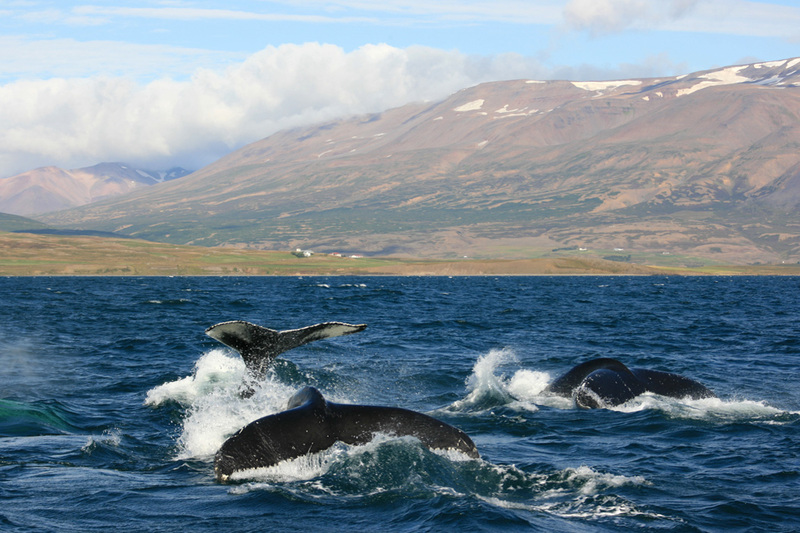 Check out the details about a whale watching tour from Reyjavík here. Seeing your first whale in the wild is so exciting! 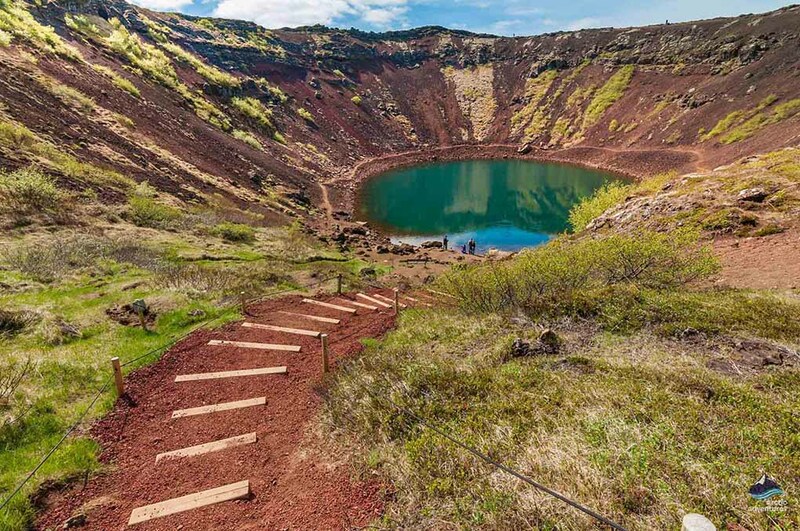 Elliðaárdalur – hike, jog or cycle through this beautiful valley in Reykjavík and you will discover a place which is seldom visited by tourists. An enchanting salmon river tumbles through this family recreation area, which is a great favorite of the local people. Get active or relax with a picnic. Hire a bike, drive or even travel by bus to get there, Strætó number 5 to Hraunbær will take you closest, but buses 15 and 6 to Ártún will also take you quite close. See the Strætó timetable here. A map of Elliðaárdalur can be seen here. 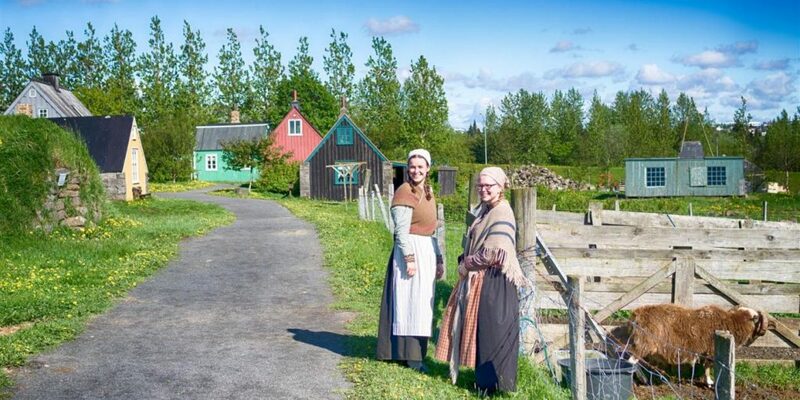 Árbæjarsafn – The Open Air Folk Museum is really close to Elliðaárdalur at Kistuhylur, 110 Reykjavík. See the old houses and how the Icelandic people used to live and work in the not-so-distant past. The museum is open in May from 13:00 to 17:00, a guided tour takes place at 13:00 every day. Adult admission fee 1,650 ISK, or 1,100 ISK with a student card. More on Árbæjarsafn here. The Botanical Gardens (Grasagarðurinn) – learn about the surprising array of flowers which flourish in the garden. In May the gardens come alive with colorful blooms. Flóran Café / Bistro in the Botanical Gardens – enjoy a meal, or a drink and a cake. Swim at Laugardalslaug – relax in the hot tub and enjoy the lush green scenery – this pool is just a short walk from the Botanical Gardens and Flóran Café / Bistro – on a fine day why not enjoy all three? 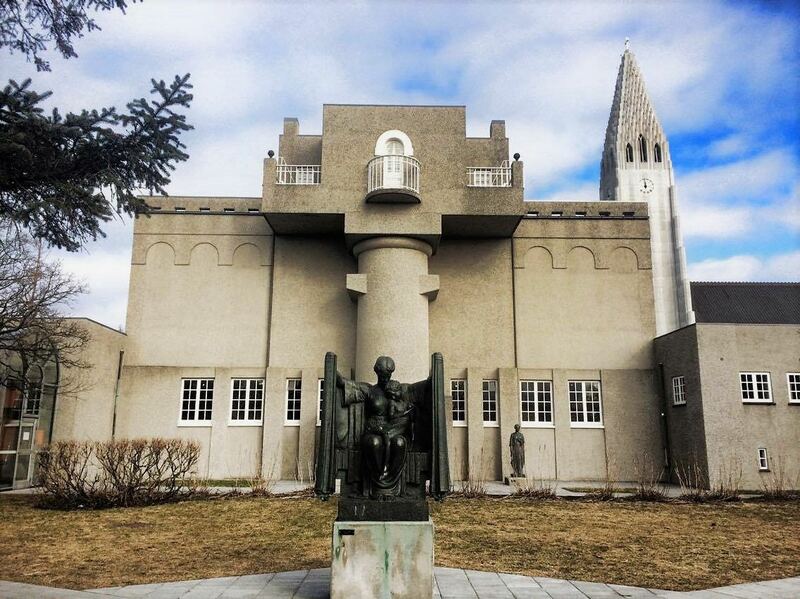 See the sculptures at the Einar Jónsson Sculpture Garden and Museum. The garden with its impressive sculptures and mature trees is incredibly lovely and serene – a real peace haven in the heart of the city. There is no charge to visit the garden but there is a fee for the museum. The museum building was the home and studio of the sculptor, for me, this is the best sculpture gallery in Iceland – the 1000 ISK admission fee is totally worth it. The gallery and garden are situated at Eiríksgata, just across the road from Hallgrímskirkja, Reykjavík´s iconic white church. More info here. Enjoy Icelandic food at Café Loki (plenty to suit overseas tastebuds), situated at Lokastígur 28 opposite Hallgrímskirkja. On fine days there is some outdoor seating and the upstairs restaurant offers fine views. Good value dish of the day and a selection of “Icelandic Plates” to choose from. Drinks, soups, cakes, and snacks are also served. Seltjarnarnes hiking and enjoying the unique nature around this amazing peninsula. The mountain views, coastline, nature, and beaches around this suburb of Reykjavík are sensational. The Bakkatjörn pond and the island of Grótta are both bird habitats and conservation areas. Arctic tern, eider ducks and geese are all regular visitors – the flora here is unique – and more than 100 bird species are short or long-term residents. Strætó number 11 will take you to Seltjarnarnes – see the timetable here. If you come to Iceland in May the nature is changing so rapidly, you would very likely feel you had entered a different season even after just two or three days. Traveling to different parts of the county you would discover far greater changes, spring doesn’t arrive in all parts of the country at the same time. 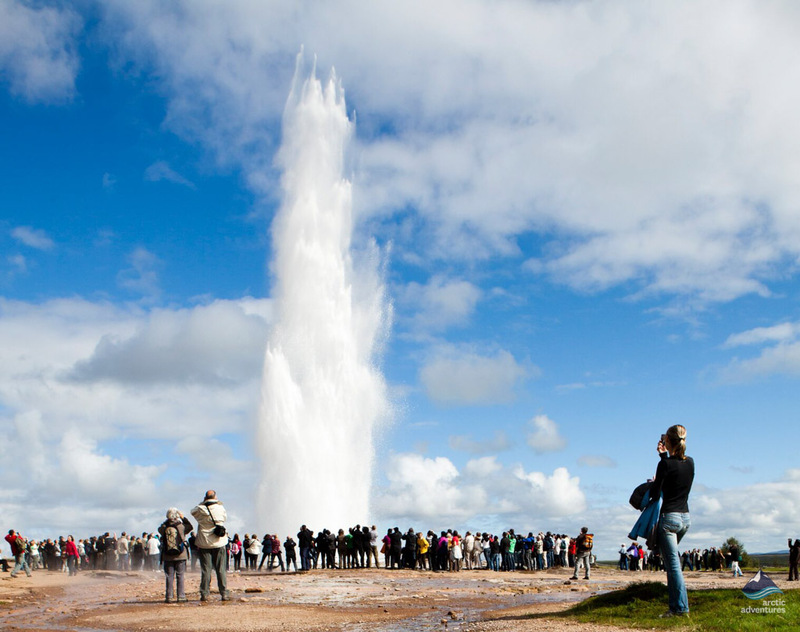 A Seven Day Complete Iceland Tour offers a fantastic way to enjoy Iceland in May. 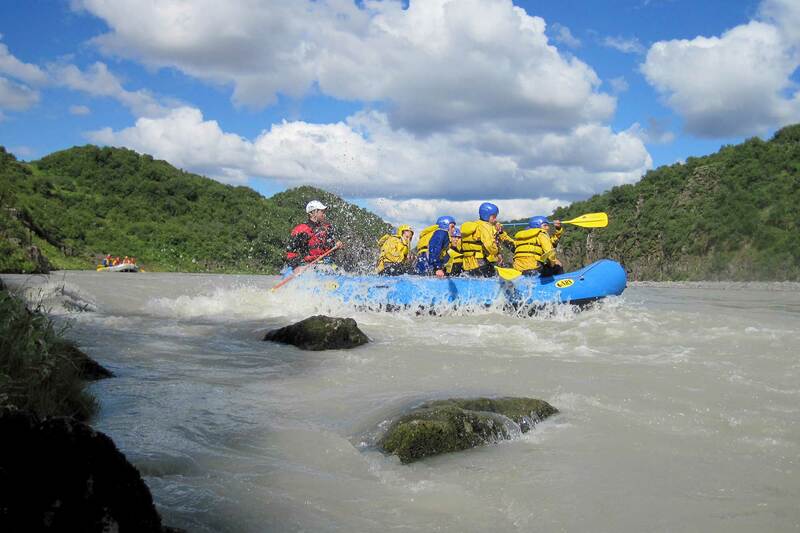 Rafting tours begin in May, a Gullfoss Canyon Rafting trip on the Hvítá river is a fun and fabulous way to see the nature in a whole new way. 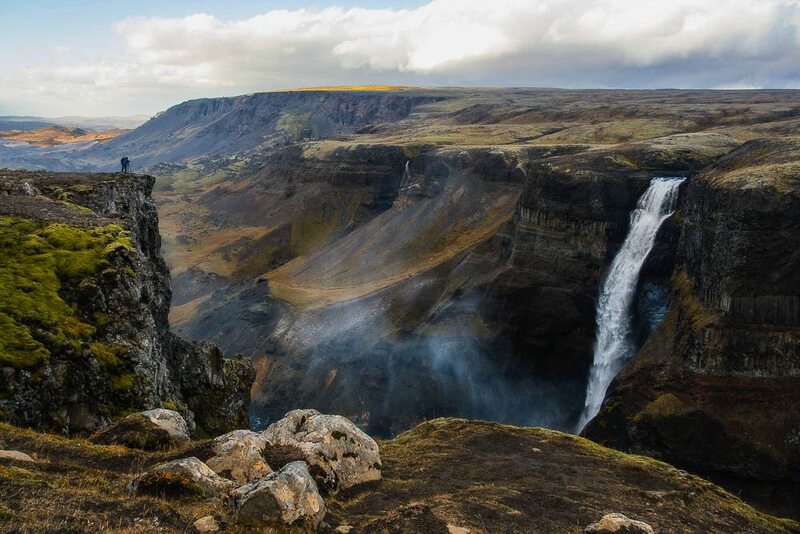 Þórsmörk (Thorsmork)is a wonderful place to appreciate the arrival of Spring, the Thorsmork Volcano Hike will take you on the legendary Fimmvörðuháls trail the original eruption site of the Eyjafjallajökull eruption in 2010. 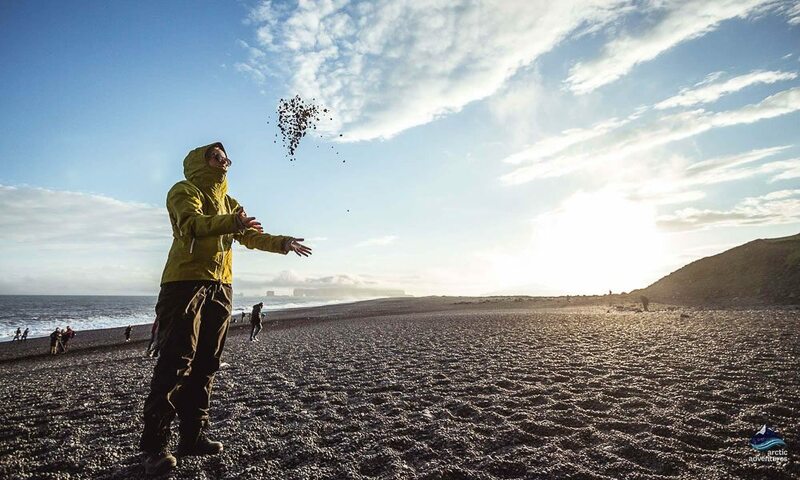 Saga Fest is a cultural fiesta celebrating the Icelandic Sagas and Icelandic culture at Stokkseyrarsel, a farm at Stokkseyri, a gorgeous fishing village, around an hour by car from Reykjavík. Music, arts, poetry readings, Icelandic shamanism and shamanic drumming and great celebrations. There is a strong emphasis on community, equality, sustainability and nurturing the earth. Around 750 people come together each year over two days in the latter part of May. For full details of this year’s Saga Fest please request the festival newsletter here. 13th May – Mothers’ Day. This isn’t really celebrated much in Iceland so restaurants don´t put on special lunches and the florist won’t run out of flowers. 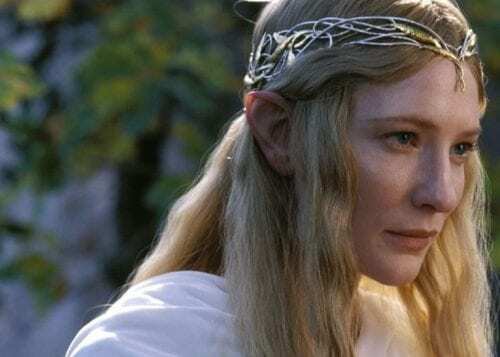 Of course, if you are a mother who is in Iceland with her children or your mother is with you, you can enjoy a nice meal at any restaurant – without paying the hiked-up Mothers’ Day prices you get in other lands. Florists in Iceland are often open on Sundays too! 30th May – 2nd June – The Vaka Folk Festival. 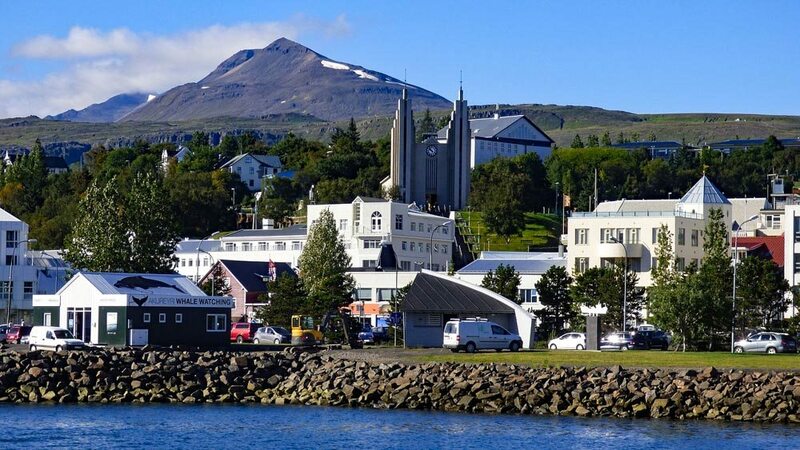 This is held in Akureyri, the Capital of North Iceland. Most events take place at Hof Cultural and Conference Center, but several are held at various charming venues around the town. Listen to the old instruments being played and soulful songs being sung. Watch the joyful and vibrant traditional Icelandic dances being performed. There are art displays and various talks and mini-courses. Vaka is a very lively event, the packed schedule operates from lunchtime to late evening – making this an exciting time to be in Akureyri. The Icelandic people have lovingly preserved their traditional instruments and charming songs and dances. 1st May – Labor Day / May Day. This is held on the same day as May Day but in Iceland, it is the Labor Day aspect which received great emphasis. The workers’ rights which have been achieved are celebrated and desired future rights are focused on. This is a big day for protest marches, the protests support all sorts of issues, not just workers’ rights. The banner waving protest groups are often noisily supported by brass bands, making for quite an entertaining spectacle as they pour through Laugavegur, the main shopping street in Reykjavík. 10th May – Ascension Day. The date can vary since this is held 40 days after Easter Sunday. Christian Churches hold services celebrating the ascension of Jesus. Not many Icelanders got to church but services are held to honor Ascension Day. People like to make the most of their extra leisure time with family, friends and outdoor activities. 21st May – Whit Monday. This is also sometimes known as Pentecost Monday. This marks the end of 90-day Easter period which commenced with Ash Wednesday (Öskudagur in Iceland) and the period of Lent. Again, most Icelanders enjoy the long weekend by spending time with family and friends, sometimes going to a summer house in the country. Church services are held, so, if you want to celebrate the religious aspect you will be able to do so in Iceland. Services and opening hours on public holidays. Strætó, the scheduled bus service, runs to a Sunday timetable, swimming pools, grocery stores and museums sometimes have reduced opening hours, as do some cafés and restaurants. A few places may be closed on some of the days but not so many. Anything else you would like to know? Iceland is the puffin watching capital of the world. Bird watchers and scientists from all over the world come to Iceland to see this interesting species for themselves. Thanks to their incredibly cute and funny appearance, puffin watching has become one of the top favorite summer activities for visitors in Iceland! Learn more about the puffins in Iceland: when to see and how to find them. 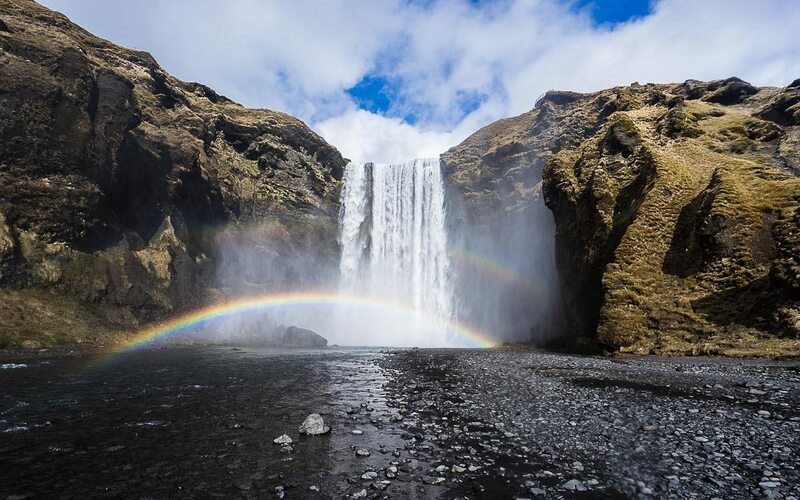 April is known as one of the cheaper months to visit Iceland and for the stunning sunsets and the epic start of summer where the summer and winter seem to be fighting a war. 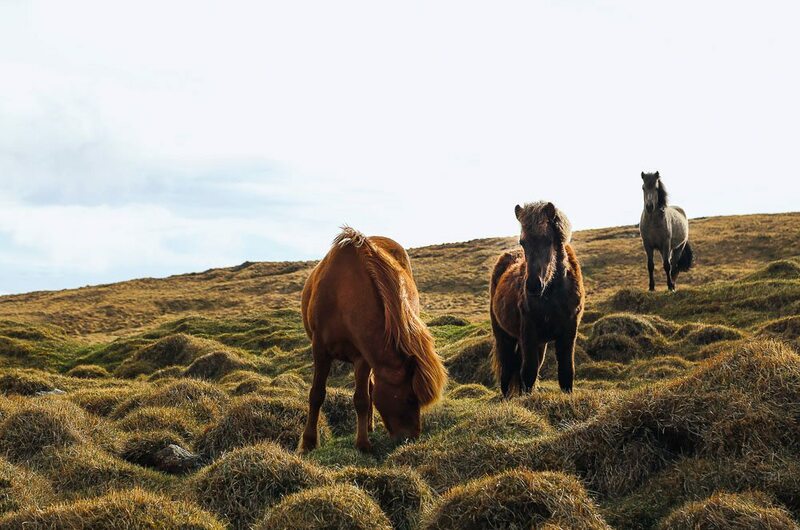 There are so many epic adventures and things to do in Iceland in April and here is the ultimate guide. Now we go deep into the foodie world of Reykjavík. Find out what and where to eat while staying in Reykjavík, Iceland. Both fancy and budget friendly - The best of both worlds. Let's get eating! What are the pros and cons to traveling to Iceland during summer? What is there to see, to know and to do? 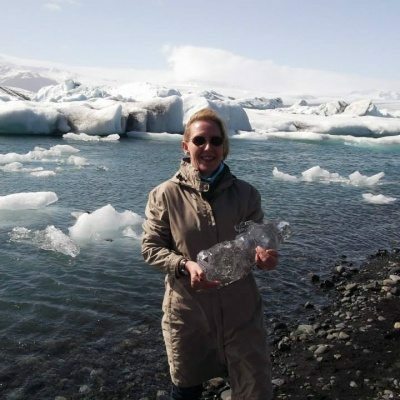 Inga takes on the Icelandic summer in an excellent way.